Trailers for sale, RVs for sale, caravans for sale ads in Melbourne. Thank you for visiting our free advertising website Trailers for sale, RVs for sale, caravans for sale, Melbourne section. We provide high response free classifieds and free advertisement. Use our online free Trailers for sale, RVs for sale, caravans for sale classifieds placement system to find, list, offer Trailers for sale, RVs for sale, caravans for sale online! Providing a complete service for all Container Sales, Modification and transport needs. Any size, Any type, New or Used available. 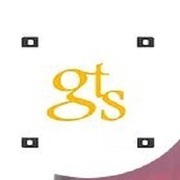 Website: https://www.gtscontainers.com.au/ Phone: 04 2270 8021 Email: sales@gtscontainers.com.au Address: 49 Flynn Court Derrimut VIC 3030 Australia. Ahoy! We're a family owned and operated trailer manufacturer based in Blackburn. We pride ourselves on our attention to detail and high quality workmanship which allows us to provide the most durable products on the market. Call us today for a free quote. If we don't have what you're looking for, we can make it! Phone: 03 9728 2048 Email: bb_trailers@connexus. Do need an emergency towing for your vehicle then don’t wait to call the Melbourne CBDTowing, it is offering the fastest emergency towing services in all over Melbourne. To contact them, please visit http://www.melbournecbdtowing.net.au/emergency-breakdown/. The automotive workshop in Melbourne called Melbourne CBD Towing is providing the cost effective towing services for accident and breakdown vehicles. This garage can provide local and long distance towing services by their professionals. To hire their services, please visit http://www.melbournecbdtowing. Melbourne Trailer Hire located in Carnegie is the best place for different equipment hire. Car Trailer is one of the best product of Melbourne Trailer Hire and you can hire a car trailer at affordable rates to move your car safely from one place to another place using car trailer.. If you are looking for custom made trailers in Adelaide, then Western Trailers and Engineering would be the perfect choice for you as we are amongst the top rated trailer manufacturers in Australia. Here, you will be able to find a wide variety of trailers that suit all your requirements. We have an eye for detail and we make sure that our work meets the requirements of our clients. At Western Trailers you will be successful in finding multipurpose box trailers Canberra , we at Western Trailers believe that a product should not be restricted to providing only one kind of job and hence we offer superior quality of box trailers Canberra that are bound to fulfill all of your trailer needs and also much more. Melbourne Trailer Hire provide a wide range of trailers for every requirement. 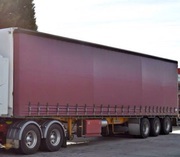 Hire box trailers, Single axle box trailers, Double axle box trailers and more..
Western Trailers is the perfect company for you if you are looking for Melbourne Trailers, we make sure that we cater to each and every demand of the client. 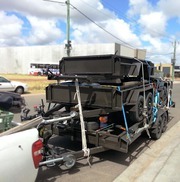 We are experts when it comes to providing custom built Melbourne trailers. Our team is dedicated to creating superior built and durable trailers that are highly functional and economic. 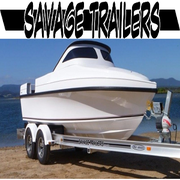 Based in Seaford and servicing the Melbourne area, surrounding Victoria and right around Australia, Savage Trailers has become prominent organization that is specialize in design, construction and customization of boating, jet-ski and kayaking trailers, offering a number of products and services to the marine industry. If you're probing for custom created trailers in Victoria then Western Trailers and Engineering Pvt Ltd is that excellent place for you! Here you may find a large selection of trailers and if you've got a transparent image of what you would like, we will create the right trailer for you that match all of your necessities and desires. We are the leading trailer manufacturers and supplier of Open Body Trailer in Melbourne.Our organization is indulged in offering trailer manufacturers melbourne to our clients. This Western Trailer Melbourne is particularly designed for transporting heavy material from one place to another. Known for sturdy structure, easy operation, trouble free performance and simple operations, this Western Trailer is precisely engineered using high quality components. We are actively engaged in manufacturing and supplying a qualitative range of Trailer Parts in Melbourne which is widely used to move bulky & voluminous material from one place to another. These trailers are manufactured using the finest grade raw material and sophisticated technology in adherence to the international quality standards. Hardings Swift Caravan Services manage caravan storage, caravan insurance repairs, installation of towing equipment and can even supply vital caravan accessories. http://hardingscaravans.com.au/ 03 9729 8477. Looking for Trailers parts? Blackburn Trailers sell quality trailers Parts and accessories in Blackburn, Melbourne. 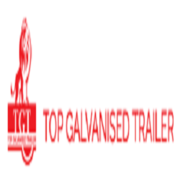 We make all our own trailers like covered trailers, tradesman trailers, Machinery, custom built, box trailer, trailer parts, Light and Heavy duty trailers. We deliver to anywhere in Australia. With over 50 years of experience, Blackburn Trailers experts in trailers sales & repairs, you will find a new and used wide range of trailers in Blackburn Melbourne. We make all our own trailers like covered trailers, tradesman trailers, Machinery, custom built, box trailer, trailer parts, Light and Heavy duty trailers. ~ 45ft steel floor ~ aluminium gates ~ aluminium wheels ~ 1 tool box ~ gate rack ~ spare tyre rack ~ cleanskin tyres all around ~ excellent condition. Since more than 30 years, we have been manufacturing and designing trailers for domestic and commercial purposes. From basic car carriers to Aluminium machinery trailers and Builders Deluxe Tradesman Trailers - we are your one-stop solution for different trailer requirements. Visit http://www.forwardtrailers. Forward Trailers provides best trailers as per your requirements since1970. Our trailers are Australian made and Australian designed. We provide 1 year warranty. We also specialize in custom design, retail or wholesale. We will not compromise on quality but won't be beaten on price. For more details visit forwardtrailers. Welcome to the Ultimate Trailers Australia. We are manufacturer of semi-trailers. You will be having a range of styles and a wide selection of options for Semi Trailers here. Call us today on 1300 202 090 to find out more about Semi Trailers at affordable price.. Freighter 45ft, Air bag, 3 way Pins, Road Train A, spider wheels, front and rear load racks, LED lights, new plastic circle guards, 2 tool boxs, sand blasted and painted, whiet coaming rail and silver chassis, load binders in sliding track, steel checker plate floor, 5 inch comaing rail, twin spare wheel rack, gate rack gates, new clean skin tyres, good brakes, new suspesnion. Owning a Jayco Sterling gives you the choice to go anywhere and stay anywhere. Fully self contained with the following features; Colorado carefree awning, Double Bedroom, Two bunks up front, All areas have privacy doors, 3-way fridge, Microwave, Gas/electric hob and oven, Full sized shower, Chemical flush toilet, Fresh/grey/black water storage, and tons of storage inside, plus a large front boot. 3x5 Chesney 1968 External original Interior FULLY RENOVATED, freshly painted with new panels Ready to go for traveller Suitable for small car (I've got a 4 cyndinder Land Rover with no problem) Comes with: 32 inch Samsung HDTV ($1, 070 brand new) Pioneer DVD player Pioneer subwoofer and stereo. Australia free ads for Trailers for sale, RVs for sale, caravans for sale, Melbourne, Trailers for sale, RVs for sale, caravans for sale free ads Melbourne, Trailers for sale, RVs for sale, caravans for sale for sale Melbourne, Trailers for sale, RVs for sale, caravans for sale to buy in Melbourne. Find on this page free classifieds for Trailers for sale, RVs for sale, caravans for sale in Melbourne. This listing includes classifieds for sale and to buy in Melbourne. FREEADSAustralia Melbourne offers you a platform to post free advertisements or classifieds for Trailers for sale, RVs for sale, caravans for sale in Melbourne. FREEADSAustralia helps you search, find buy, sell, rent or hire in various categories like apartments, goods for sale, local services, cars , jobs and many more in Melbourne. If you posted an advertisement in category Trailers for sale, RVs for sale, caravans for sale of FREEADSAustralia Melbourne before please use Edit my ads button to change or cancel your ad. Trailers for sale, RVs for sale, caravans for sale Melbourne ads Melbourne, Trailers for sale, RVs for sale, caravans for sale classifieds Melbourne, Trailers for sale, RVs for sale, caravans for sale free ads Melbourne, ads for sale Melbourne, ads to buy Melbourne, FREEADSAustralia. Find here ads for sale, to buy and rent in Melbourne. Goods for sale in Melbourne, vehicles for sale in Melbourne, Melbourne real estate for sale, Melbourne property for sale, property for rent in Melbourne, business ads in Melbourne, Melbourne business classifieds, services in Melbourne, Melbourne services ads, jobs in Melbourne, pets for sale in Melbourne, Melbourne dating, Melbourne cars for sale.